As with the other sacred temples on Malta, Hagar Qim predates most of the world's most treasured sacred structures. Dating back well over 5,000 years, the circular shape of the temple complex reveals its loyalty to what is considered the “Goddess” era of Malta. Visitors can learn the history of the temples in the interactive information center before heading to the main temple, the niche, the women's chamber, and the dwelling houses. If on Malta during the summer solstice (June 21), the Hagar Qim is a must-visit at sunrise, when an altar inside on of the chambers is alight thanks to a perfectly designed hole in the exterior wall. The Hagar Qim Temples are open from April through September from 8am-7:15pm, and from October through March from 9am through 5pm. Entrance is €10, with discounts for children, students and seniors. It is closed on Good Friday, Christmas Eve, Christmas Day, New Year's Eve, and New Year's Day. Uncover Malta’s long and fascinating history on this private, full-day shore excursion. Meet your own personal guide at the cruise port in Valletta, and then start with a boat ride across the harbor. Explore the town of Vittoriosa on a walking tour; travel to the prehistoric temple of Hagar Qim; and enjoy both guided and free time in Valletta, where you’ll visit Upper Barrakka Gardens, St Jonh’s Co-Cathedral and the Grandmasters’ Place. 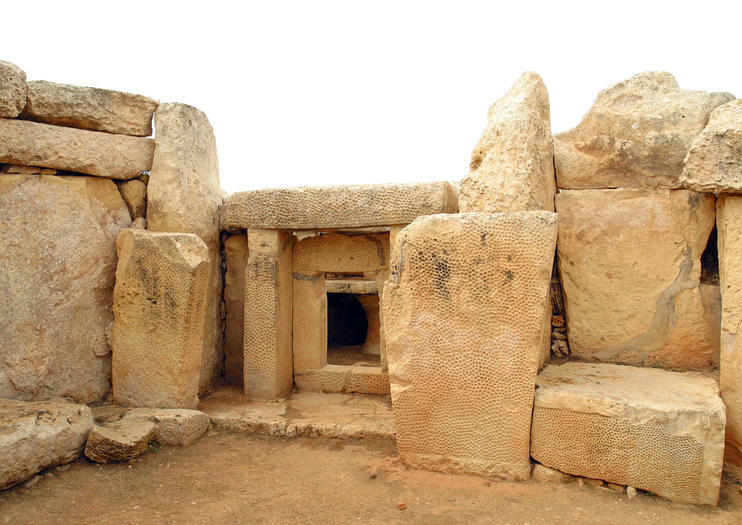 Malta’s Megalithic Temples are among the oldest in the world, dating back as early as 3600 BC and protected as a UNESCO World Heritage site. This half-day tour from Valletta visits three of the island’s most important archeological sites—the Temples of Tarxien, Ghar Dalam or the ‘Cave of Darkness’, and the Ġgantija temples of Hagar Qim. With just one day to take in the highlights of Malta, a private island tour means you can maximize your time. Explore the UNESCO-listed Old Town of Valletta, cruise around the Blue Grotto, admire views of the Golden Bay and Dingli Cliffs, and stop in the towns of Rabat and Mdina. Please contact me for further details. To be added shortly. As a local, I will take you to a unique and off the beaten path nature Hike towards the Congreve Memorial where you will have the opportunity to experience the wonderful Panorama surrounding the area, as well walk along the trail of different flora and fauna found in the area. After a short stop at the memorial, we will start our walk towards one of De Redin Towers and then down to the Hamrija Bank where we will also visit an untouched natural pool of sea water. Once you have recorded the experience through your cameras, we will walk back to to a surprise hidden cave and we will spend an hour there to relax and have a bath (Depending on the season and weather conditions) after you have gained your energy, we will go up towards the hill and walk back to Hagar Qim Temples.